Pneumonia is a common disease that can affect individuals of any age, and it is quite common among the kids during the months of winter. So, you might be wondering what exactly pneumonia is all about, aren’t you? 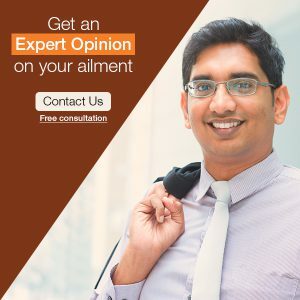 Get answers to all your questions by reading this blog. 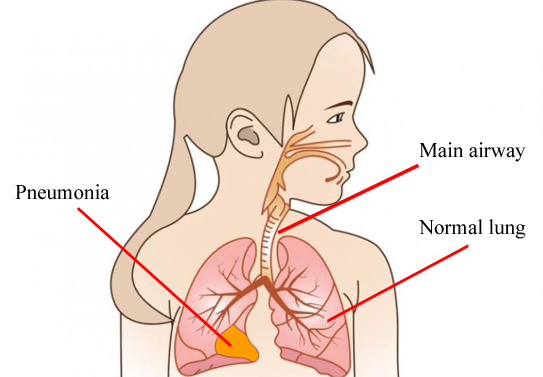 Pneumonia is a condition where either lung is affected or both the lungs are affected by the infection. Although it occurs in the individuals of all age groups, children are most prone to pneumonia. Pneumonia is very common ailment among the kids in the winter season. Studies reveal that pneumonia alone accounts for around 13% of infections that newborns usually suffer from. So, being concerned parents, you might be curious to know what exactly happens in pneumonia, aren’t you? In pneumonia, due to the infection, the accumulation of fluid in the air sacs causes obstacles in your alveoli. Alveoli are tiny air sacs which are covered in tiny blood vessels in your body called capillaries. The oxygen, which is quintessential for your body, gets into your blood through these alveoli. During winters, the immune system of kids becomes weak so children are often affected by cold and flu. When the cold or flu turn worse, it becomes easier for the bacteria to enter the lungs of kids and cause infections. Group B Streptococci infections or gram-negative rods are the most commonly observed bacterial infections. The symptoms of pneumonia depend on whether it’s due to a bacteria or virus. If your child is affected by a bacterial infection, then your kid might be feeling ill all of a sudden and might suffer from fever along with chills. If your kid is affected with a viral infection then the process is very slow and your kid won’t be too sick. Pneumonia can cause pain in the chest and difficulty in breathing. In newborns, due to pneumonia, you can find poor feeding habits and irritability. Kids might experience rapid breathing than usual, cough with thick expectoration, congestion, fever with body ache, headache, and sometimes belly pain as well. Adolescents also experience some of these symptoms. The other symptoms may be diarrhea, pain in the ears, pharyngitis, vomiting, etc. Mycoplasma pneumonia is the commonly observed bacteria in older children and adolescents. If the Pneumonia is very bad then it might require hospital admission. In case pneumonia is not that severe and if it is occurring due to bacteria then antibiotic can be given as well. There are several effective ways to prevent pneumonia. Find some of the most effective and easy prevention tips below. Make sure your child gets the necessary vaccinations and injections properly on time. Getting the right amount of sleep is very important. Lack of sleep can cause an altered immune system in kids which can make them easily prone to all kind of infections, flu, and other ailments that can lead to pneumonia. Make sure your child washes his hands properly with soap and water and uses a sanitizer to kill the germs and avoid infection. Make sure your child drinks plenty of liquids and eats healthy food. If the symptoms are getting worse, make sure you consult a doctor for the same. Now that you know why pneumonia is the most common illness among the kids in the winter, take the right care of your dear growing child to help him enjoy healthy and pneumonia-free winters.